When your menstrual cycle suddenly changes, it can be an unnerving experience. You may not know what changes are normal or if there is a medical reason why the changes have occurred. Having a scanty period is a relative term. A light period for one woman is not always a light period for another woman. Even for the same woman, menstrual flow can change at different times in her life based on her physical health, stress and lifestyle. If you suddenly develop a scanty period, there can be many reasons why this could happen. The weakening of menstrual function is known as hypomenorrhea, but this is only a term used for a scanty period. The actual cause of your lighter period could be from another medical condition. If you are worried about your period or experience other symptoms, you should go to your gynecologist for a professional diagnosis. What Type of Blood Loss Is Normal During a Menstrual Cycle? Your menstrual cycle happens because your body prepares for a pregnancy every month. If you do not become pregnant, the uterine lining and egg are shed in preparation for another pregnancy attempt the following month. When the uterine lining is she, prostaglandins in your body stimulate the uterus to contract. This causes cramps as well as the release of blood vessels. The uterine walls constrict so that any unnecessary lining separates. While every woman is different, there are standard amounts of blood shed during a menstrual cycle. Most women have a menstrual cycle that lasts for four to five days. Any cycle ranging from two to eight days is technically classified as normal. During this time, women may shed 30 to 80 milliliters of blood with 40 to 60 milliliters being the most common amount. Since you are also losing endometrial tissues, the actual amount of discharge leaving your body could be in the range of 50 to 150 milliliters. If you lose less than 30 milliliters of menstrual discharge, then you have a scanty blood flow. Keep in mind that this definition can be quite relative. If you normally lose 80 milliliters of blood and suddenly lose just 40 milliliters, you may be experiencing a scanty blood flow. Likewise, someone who normally loses 30 milliliters and then loses 25 milliliters this month is probably experiencing fairly normal flow for their body. Few women actually know the exact amount of blood that they lose in a given month. Most women do not measure the amount of blood lost, so it is only by noticing the number of tampons used and the duration of your period that you may notice an abnormally light flow. A light flow is not always a sign that anything is wrong. Your diet, exercise and other lifestyle changes can cause a sudden switch in the amount of blood loss. If you experience a scanty period for two months in a row, then you may want to talk to your doctor about what could be causing it. What Conditions Can Cause a Scanty Blood Flow? Opsomenorrhea: This term is to describe periods that take place quite far apart. You may have this condition if your periods are five to eight weeks apart. Hypomenorrhea: This medical term is used for light periods where you lose less than 25 milliliters of blood. Spaniomenorrhea: Women with spaniomenorrhea have periods rarely. In some cases, they may only have a menstrual cycle four times a year. Oligomenorrhea: This term is used for periods that are shorter than three days in length. When someone has an unusually light period, their blood flow may be exceptionally dark or light. It may suddenly be just two or three days long instead of five days long like in previous cycles. If you are worried about this, talk to your gynecologist. Keep in mind that young girls may experience unusually light periods because their menstrual cycle is not completely established yet. Women who are 40 to 50 years old may experience scanty periods because of infertility issues or menopause. Women who are currently reproductive aged between 20 to 40 years old may have a medical reason for why their period is unusually light. Women who have a disorder of some sort may also suffer from excess acne, red spots on their body, lipid imbalances and a lowered libido. To treat a scanty period, you have to first determine the cause. Women who suffer from bulimia or anorexia will often develop scanty periods. 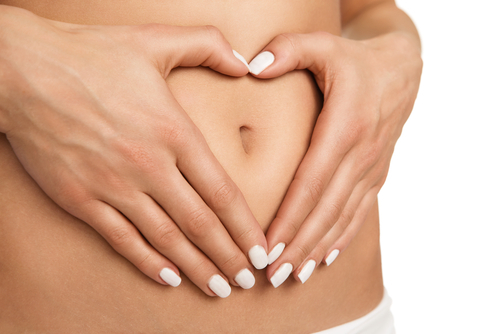 Their body es not have the fat that it needs to produce hormones for a menstrual cycle. Likewise, individuals who suddenly lose a lot of body fat or who are malnourished may end up having lighter or nonexistent periods. While most women experience menopause later on, some women can go through menopause too early. When this happens, their periods may change in frequency, intensity and duration. When women are under stress for a long time, it can cause their menstrual cycle to change because the hormones produced by the body change. Women may experience an overly abundant or overly light period when they are under a lot of stress. Teenagers are the most likely group to experience drastic swings in their period intensity. The menstrual cycle is still becoming established, so it may suddenly be lighter or heavier each month. This rare disorder can cause periods to be lighter or nonexistent. It can cause fertility issues and often happens in women who have many pelvic infections or abortions. Birth control pills change the body’s hormonal levels, so this can cause your period to change. Pelvic inflammatory disease and other infections can cause scanty periods and other health problems. Hormonal changes and imbalances are the most common cause of light periods. This could be due to a disease, medication, extreme weight gain or sudden weight loss. If the thyroid is not working properly, women may have lighter periods. Getting too much exercise can cause the period to become scanty or irregular. This is especially common in women who are training for an athletic activity. PCOS causes the body to create tiny cysts in the ovaries. This can cause lighter periods, excessive hair growth, fertility problems, acne and weight gain.